Or my fiery attitude which you probably won’t every understand. 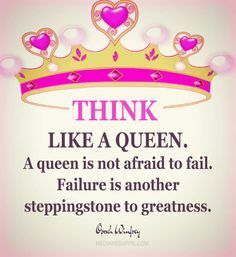 I’m still going to be the Queen on my Throne! Believe me as long as I’m living, I’m always going to put up a good fight!